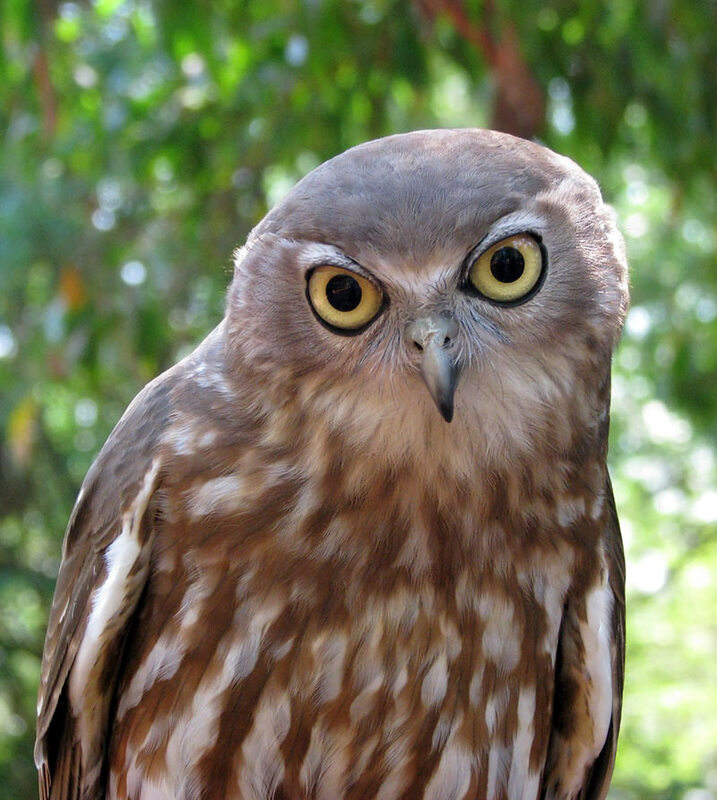 The Barking Owl (Ninox connivens) is a medium-sized owl found throughout Australia, although it is generally absent from the arid central regions. They can also be found in parts of New Guinea and the Moluccas. Barking Owls usually inhabit open forests and woodlands, and can often be found along tree-lined creeks and rivers. Although fairly common throughout much of northern Australia, the Barking Owl has been affected by the clearing of woodlands in the south and is considered ‘vulnerable’ in NSW and is now endangered in Victoria. The most commonly heard call of the Barking Owl is a double note ‘woof-woof’ which sounds quite similar to a dog’s bark. Male and female often duet with the male making the lower-pitched call and the female the higher notes. They also make an unusual ‘yowing’ vocalisation which sounds a bit like a person shouting for help. This sound is sometimes referred to as the ‘screaming woman call’! XC140189 This first sample is a male Barking Owl making typical two-note calls. The call sequence gradually rises in pitch and intensity. Recorded at Yellow Waters in Kakadu National Park, Australia. XC172052 This following recording features typical calls from a female Barking Owl. Recorded at Yellow Waters in Kakadu National Park, Australia. 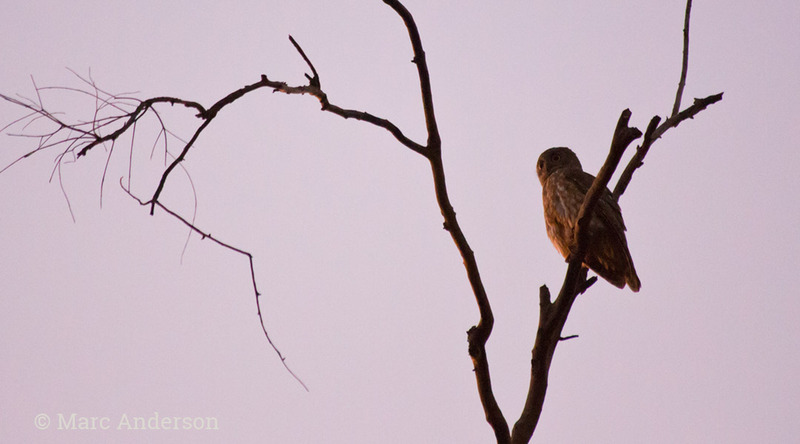 Barking Owl at dusk near Kakadu National Park, Northern Territory.